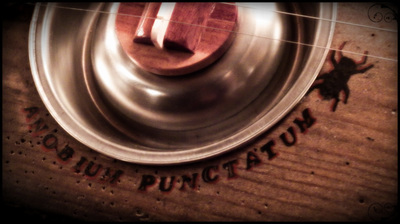 The Anobium Punctatum (pine beetle). 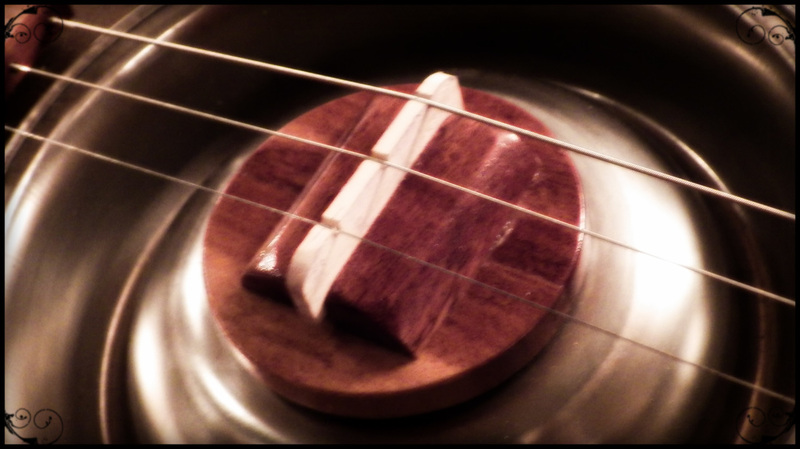 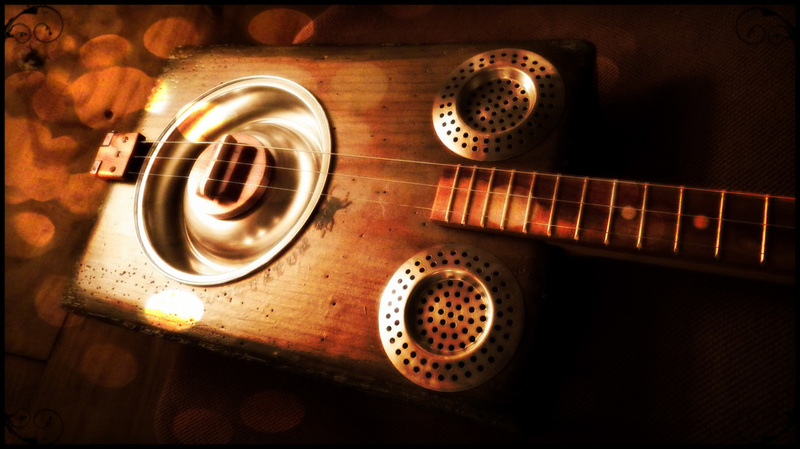 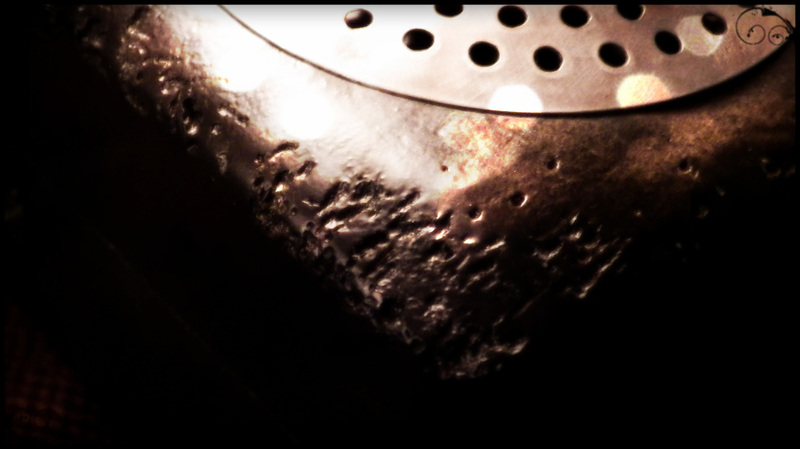 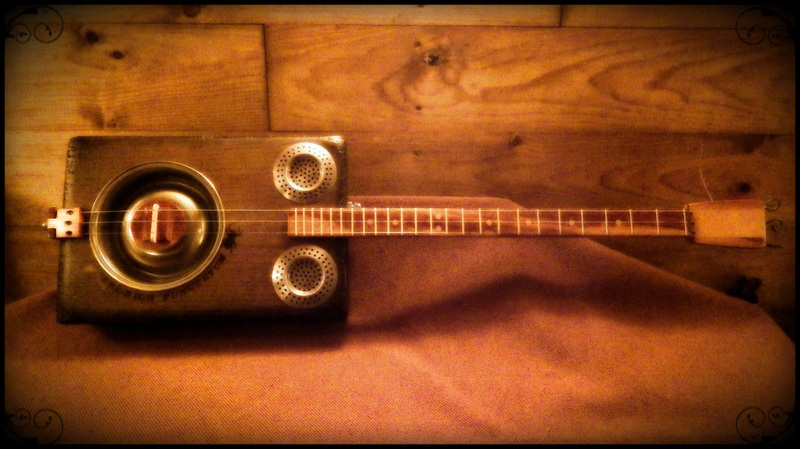 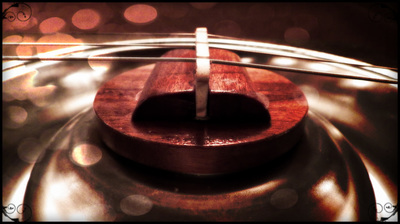 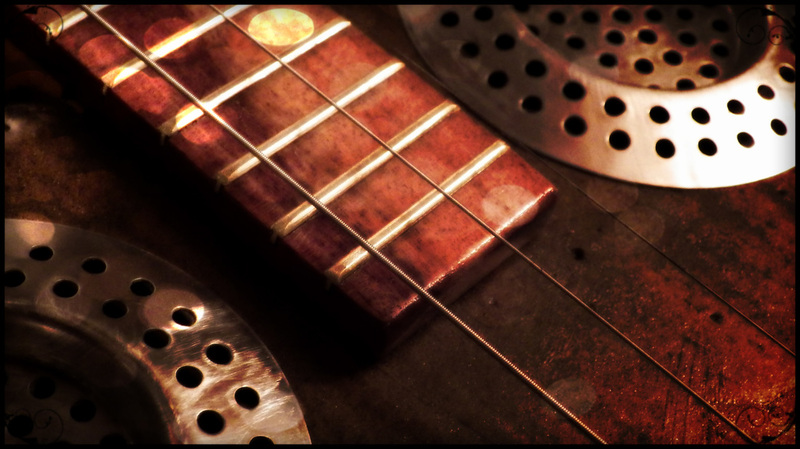 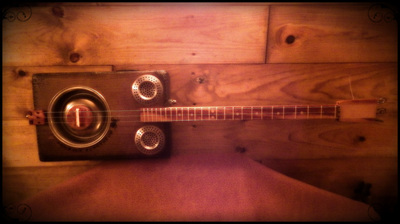 3-string "resonator"type. 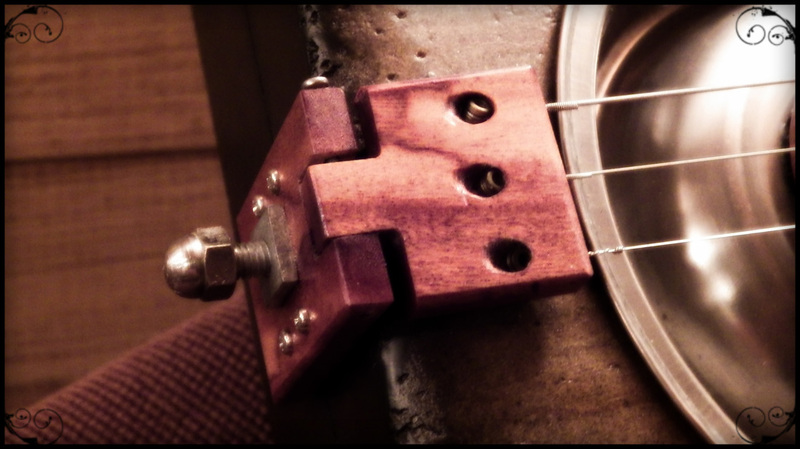 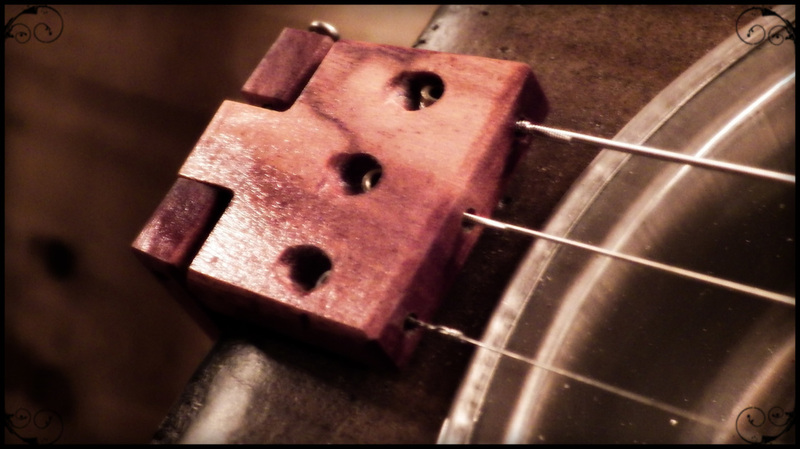 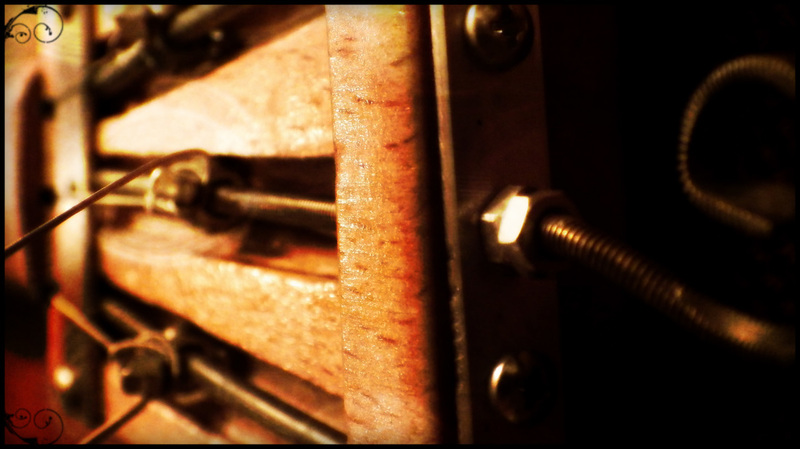 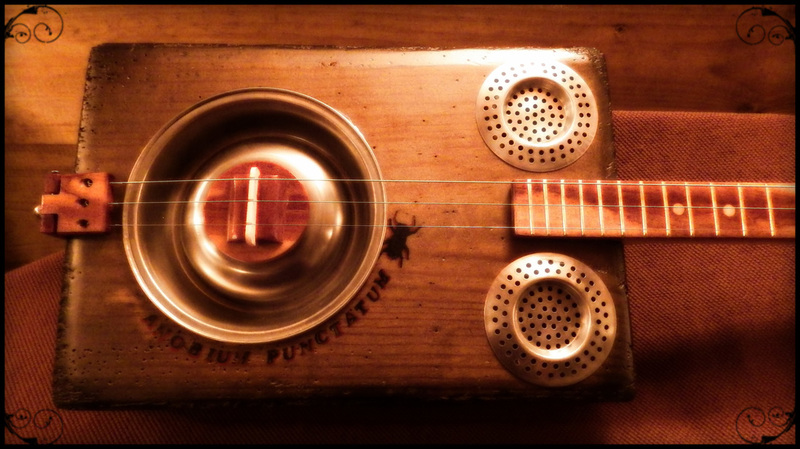 Bridge piezo, pre-amplifier, "fado" style "hidden" tuners, beetle perforated pine front and back. 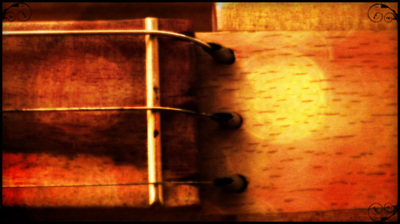 Box-sides, neck and dots out of beech, fretboard, biscuit bridge and string holder out of some Brazilian hardwood.